Temperatures should warm into the 70s. Beach weather in October? It’s possible this week. There are showers in the forecast, but not until late this week. October weather can be quite dramatic. We’ve seen snow early in the month, perfect storms to conclude it — and wind, rain and cold throughout. October can also bring amazing weather. Cool, clear nights can lead to bright sunny days. Temperatures quickly warm because while the sun’s strength on this part of Earth is weakening, it’s still comparatively strong. 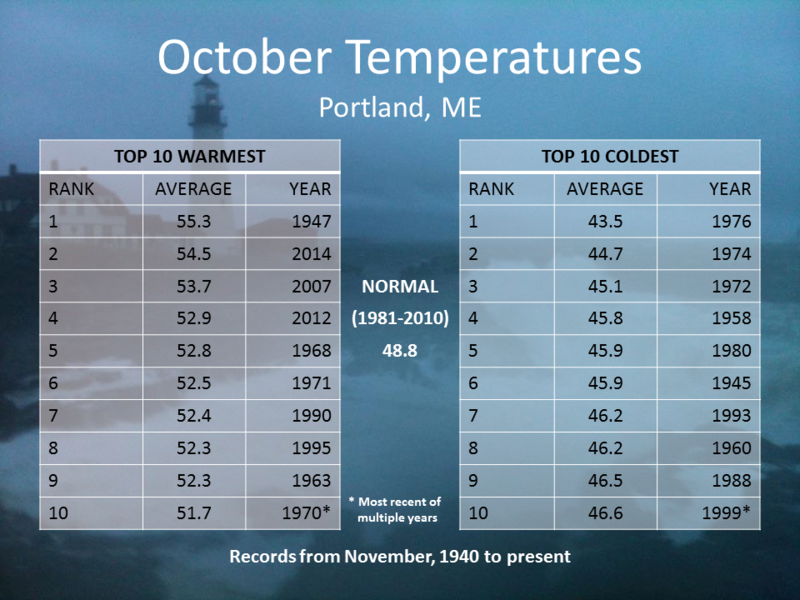 The coldest of Octobers in years past have felt and sometimes looked like early winter, but the warmest of Octobers in the record books keeping the growing season alive and well through the entire month. If you’re a skier, perhaps your mind has already starting thinking about waxing your boards. 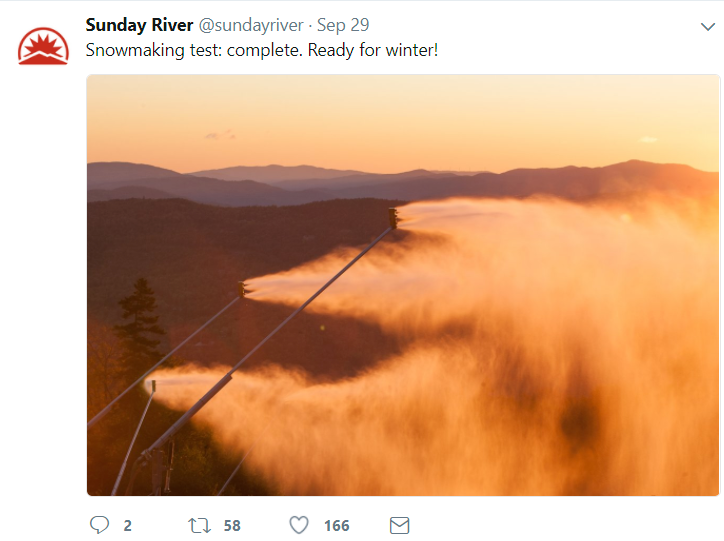 Indeed, Sunday River already started their snow guns in their annual ritual of testing the equipment. But most of you probably aren’t thinking about snow. Maybe you are still holding onto summer, and want to go to the beach one more time. The good news is the forecast is trending more like summer than winter, at least for now. 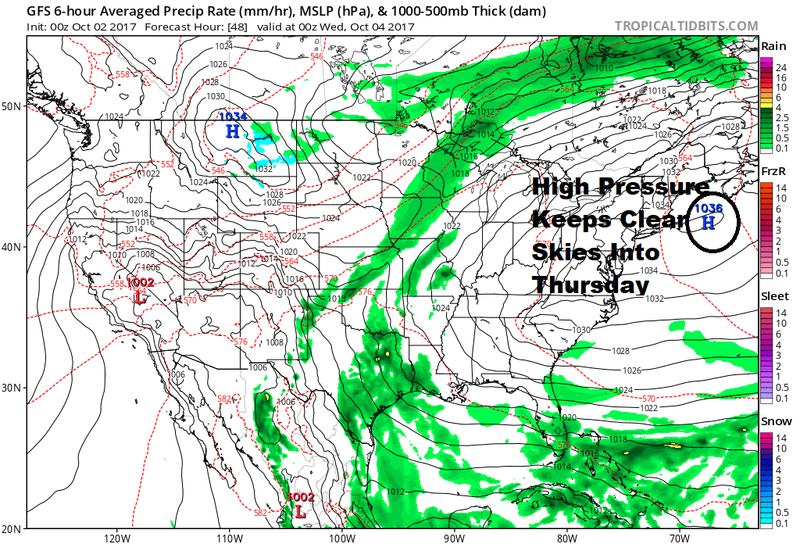 This week, high pressure is going to bring many days of sunshine, including several where you could head to the beach. While it won’t be as warm as the final week of September, we are going to enjoy temperatures far above the long-term averages. This type of weather is good for the turning foliage. The best type of weather to bring on the color is dry and cool, not freezing at night and mild during the day. This should continue to increase to colors across the landscape. Many areas north and west of Boston will see enough color that you’ll start to notice it more this weekend. As you get into New Hampshire, Vermont or Maine the color is more dramatic and worth the trip. The upcoming weekend weather is questionable. The models are not clear how impulses of low pressure will behave along a front which passes Friday. The most likely scenario is at least one of the three weekend days will have a chance of showers. I am focusing on Sunday at this early stage, but this could flipso don’t make changes to weekend plans yet.